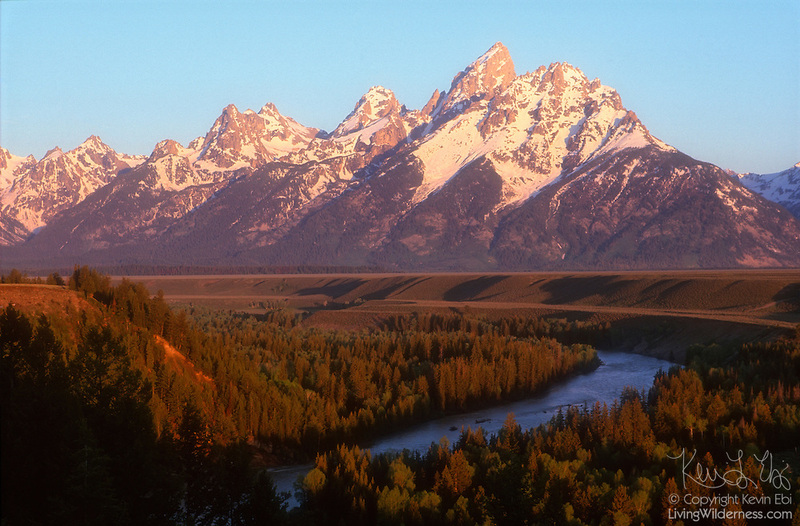 Grand Teton towers over the Snake River in Grand Teton National Park, Wyoming. Grand Teton has a height of 13,775 feet (4,199 meters), making it the second-highest peak in all of Wyoming. The Teton Range is a subrange of the Rocky Mountains. The Snake River, which is 1,078 miles (1,735 km) long, is the largest tributary of the Columbia River, which is the largest river that empties into the Pacific Ocean.